Described by Time magazine as a “Hero for the Planet”, Peter Raven was the primary inspiration for sparking our burning obsession to save rainforests. In 1981, Dr Raven was an honoured guest speaker at the 6th International Botanical Congress in Sydney. His talk at the Queensland University on the critical role of plate tectonics in global plant distributions and on the global plight of rainforests was a life changing experience for ARCS President, Dr Aila Keto. We met and he since has helped us immeasurably. 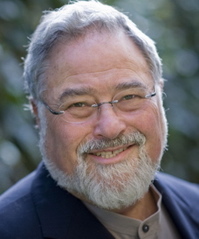 Dr Raven, a botanist and environmentalist, was longtime director, now President Emeritus, of the Missouri Botanic Gardens, earned too many prestigious prizes and awards to list here but these include the USA’s highest award for scientific accomplishment (the U.S. National Medal of Science). He has advised presidents, served as home secretary of the National Academy of Sciences and written countless books, reports and leading textbooks on botany and the environment. For more, click this link. 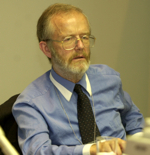 Dr Norman Myers, British academic and environmentalist, has been possibly one of the most decorated and influential figures influencing global policies on biodiversity, deforestation, world population and climate impacts on humans and biodiversity alike. The concept of biodiversity hotspots was originated by Dr Myers in 1988 and became a widely recognised tool for prioritizing and conserving significant areas meriting urgent conservation efforts. These areas must meet two strict criteria: contain at least 0.5% or 1,500 endemic species of vascular plants and have lost at least 70% of the primary vegetation. These are among the world’s most remarkable and threatened places. Dr Myers helped and mentored ARCS at a critical period in our 35-year history: the campaign to protect the Wet Tropics. He gave generously of his time to visit Brisbane and energize the public during this critical phase. 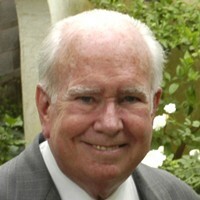 Dr Norman Myers and Peter Raven (above) have been close friends and associates. We feel blessed to have known and been helped by both. 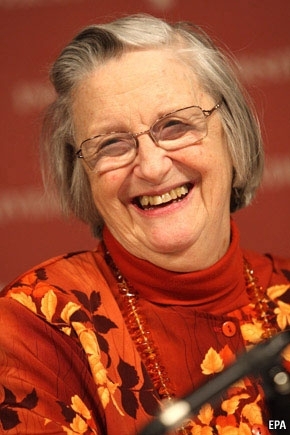 Professor Elinor “Lin” Ostrom tackled one of the most fundamental challenges facing humanity — the “tragedy of the commons” famously coined by Garrett Harden. In April 2012, she was included in the “Time 100”, Time magazine’s annual list of the 100 most influential people in the world. She was the first (and only woman we think) to win the Nobel Prize in economics. She was innovative, humble (always asking people to call her “Lin”), and gave selflessly to others. She has inspired countless people around the world, including us, to use systems thinking for governance approaches to natural resource management. Her frameworks have been pivotal to us for analyzing social-ecological systems that are so fraught with complexity and uncertainty. It is such a regret we never got to know her personally. 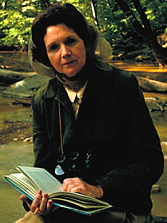 Rachel Carson is credited with being the “Mother” of environmentalism. 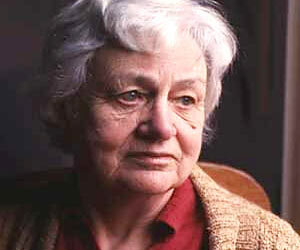 Her seminal work “The Silent Spring” in 1962 inspired generations to devote their lives to conservation. She shed light on how we can devastate wildlife all around the Earth, initially unwittingly, by what we do. Her most potent exposure was the misuse of pesticides, particularly DDT, and its impact on wildlife. Falcons, revered symbols of all civilizations for time immemorial, came close to total extinction as a result. Her courage in the face of fierce opposition from chemical companies is a lasting inspiration. She was simultaneously battling the chemical companies, the government, the press and the breast cancer that killed her two years after Silent Spring was published. Within a decade of her death, America gained a Clean Air Act, Clean Water Act, and a host of other legislation to protect the natural world. She was a key influence, amongst others of her time, inspiring Drs Keith Scott and Aila Keto to organize a “Symposium on Survival” in 1972 and 1973 at the University of Queensland.